Abuja – Petroleum Tanker Drivers (PTD) on Wednesday threatened to boycott bad roads should the Federal Government fail to repairs important roads before the rains begin. The PTD National Chairman, Comrade Salimon Oladiti made the threat in Abuja in a statement signed by Mr Abdulkadir Garba, Head Media Relations of the union. According to him, the warning may affect the smooth supply and distribution of petroleum products to some parts of the country. ”Despite the visit by the Vice President, Prof. Yemi Osinbajo, the road leading to the Tatabu Bridge is still in a deplorable state stretching from Jebba to Mokwa, where trucks spend days on the road. ”We therefore call on the Federal Government to expedite action on repairing the road, because with the onset of the rain soon, the situation will totally be out of control. ”Some of the bad roads identified must be repaired as Tanker Drivers cannot do anything to assuage the suffering of Nigerians under the circumstance. ”Already, some roads are by-passed to Mosimi to demonstrate that PTD is ready to work 24 hours to ensure smooth supply of products across the country. Oladiti commended the Nigerian National Petroleum Corporation (NNPC) for pumping petroleum products through the system Two- B. ”The system now bridges fuel products to the North and other parts of the country through Ibadan- Mosimi and Ejigbo depots as well as Warri-Calabar-Aba depots, while waiting for the commencement of Ilorin-Ore depots among others. ”We support the use of other depots outside Lagos as a way of decongesting the gridlock in Apapa and easing the problem of fuel scarcity and that where this method as well as the system Two-B is sustained. 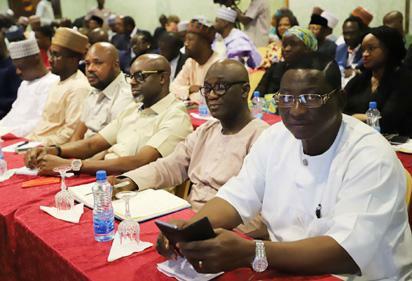 The post Petroleum tanker drivers threaten to boycott bad roads appeared first on Vanguard News. Next YOUR LUCK TODAY:” Should I marry her?